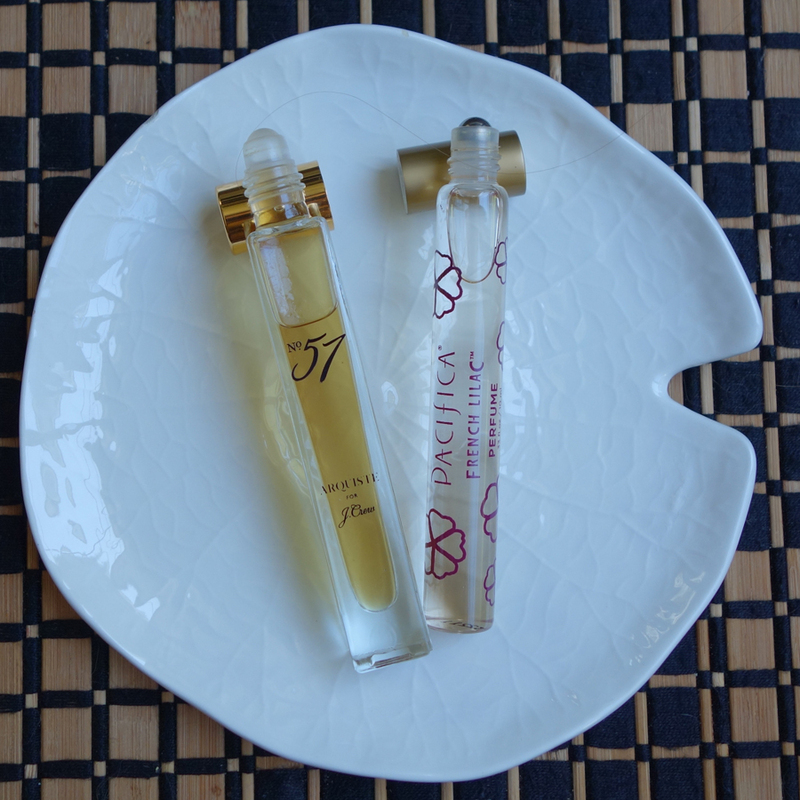 Samples play an important role in our shared hobby: first, it’s the only way to experience perfumes that aren’t carried in stores close to where we live. But even for perfumes that we can find in B&M stores, paper test is not completely adequate even to get to the Yes/No/Maybe point – let alone form the final opinion; and skin “real estate” is too limited to get a proper wearing to more than maybe 4 perfumes during one visit even in summer time. It means that we need those precious fractions of ounces to do the testing without having to immediately share our delight, or lack thereof, with a helpful and eager SA. I started writing this post in the second-person of view format “you should [not]” or “do <this>,” but quickly realized that I didn’t feel comfortable giving advice while I know that most of my readers could write all that themselves. Besides, I do not undertake step-by-step instructions but rather want to share my experience and thoughts on the subject. So I’ll stick to a first-person narration. I try to buy as few samples as possible. On the onset of this hobby I went through the “initiation” phase when I wanted to test all the best perfumes created by that time and then try everything new. But as I reached some saturation point, on one hand, and the industry exploded on us, on the other, I realized that it didn’t make sense to keep paying to test more and more new perfumes while neglecting those for which I previously paid, sometimes even twice – first to try and then to add them to my perfume wardrobe. Besides, with my “success rate” (I like about 10-15% of new perfumes I try) I would be just wasting 85-90% of the costs that add up really quickly. So, whenever possible, I sniff perfumes for free in stores. If I see any free manufacturer samples offered, I grab them and do not waste time on trying those perfumes in the store, unless there is nothing else to try at that time. I also try to resist temptation to “re-visiting” perfumes that I already know and/or have samples of, unless I want to try something sprayed (vs. a dab sample at home), or if I’m trying to decide on whether to buy it, or there is nothing else to try at that time. Since I’m not trying to be the first to write about some new perfume (heh, I’m not writing much about any perfume), I never buy samples because perfume is not available yet in the store near me. I know that it will be there before I notice, and, most likely, I won’t like it anyway. It helps to know stores’ policies and “habits” regarding perfume samples. Do they allow making your own samples (Nordstrom)? Will they make you several free samples whenever you ask (Sephora)? Do they have at least sometimes and give away samples or can make them if you ask (Neiman Marcus, Barneys)? Will they sic on you mental health social workers if you ask for a sample even with a purchase (Macy’s)? If there is anything of interest, and I know that the place, in principle, gives away samples, I always ask for them with confidence – and often get them. The next best thing to getting samples for free is to obtain them almost for free: swapping. Costs: shipping and maybe some supplies if I want to make samples from my bottles (and the cost of perfume though it’s immaterial since I won’t use up all of those 1.7/3.4 oz bottles anyway). But it’s a tiny cost compared to other avenues for procuring samples. I prefer to exchange samples with people to whom I wouldn’t mind sending those samples “just because” even without the actual exchange (it takes away the pressure of negotiations), but I did some more formal swapping as well. Not too often but from time to time I realize that if I want to try particular perfume, I have to buy a sample. First I check if a brand itself offers samples from their website, especially if it’s a small company: even if the price of a sample is the same as elsewhere, I want to cut off the middleman. If the brand doesn’t sell samples, I look for a split on NST or one of the FB groups because for slightly more money than it would cost to buy a small sample from a decanter site, in a friendly split I can get a small decant. And since splits are usually done for new or very popular scents, even if I end up not liking that perfume, it’ll be easier to swap it for something else. When all that fails, I’m trying to buy samples from real perfume stores that sell samples online – Luckyscent, Twisted Lily, Tiger Lily, Aedes, Osswald, etc. I prefer places that specialize in selling perfumes, not samples. As a last resort, I go to The Perfumed Court or Surrender to Chance. I’m grateful that there are such businesses: without them I wouldn’t have been able to try at least several perfumes when I needed to (“needed” as in tried to decide, on a couple of occasions, if I wanted to buy perfume that I liked in the store but didn’t get a sample: as the result, I bought one of such and voted down the other one). But since it is their business, and they need to make money doing it, it is the least economically sound way of getting new perfumes to try. How do you sample? What was the last sample that you’ve bought? Me? Naomi Goodsir Or du Serail. 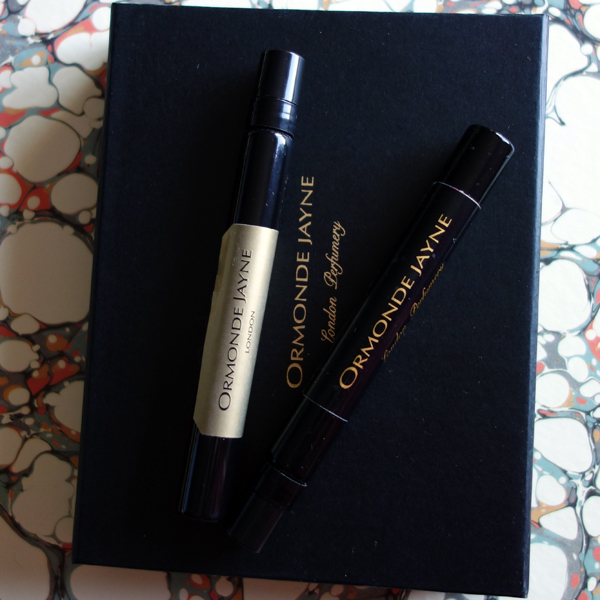 After smelling it in Tiger Lily perfumery first, I decided to buy a sample to try it on skin. So, it looks like I do not blind buy even samples any longer. Overchoice or choice overload is a cognitive process in which people have a difficult time making a decision when faced with many options. Many years ago, when my collection was less than 10 bottles, every morning I would just look at all the bottles on my shelf and choose one of perfumes that spoke to me that day. Once I fell through the rabbit hole, and number of perfumes increased, every night before going to sleep I would mentally sort through all my precious possessions and choose what perfume would get my skin time the next morning. Back then I would try new perfumes during the day, so I was equally wearing perfumes from my bottles and from samples. I enjoyed my nightly ritual, and it would save me some invaluable morning time. But since I face this first world problem every day (and even more so as the time goes, with every next bottle or decant joining my collection), I keep trying different methods. If I’m not pressed for time in the morning (and sometimes even when I am), I would still try this proven method. The issue with it is that my bottles – still in their boxes – are placed on the shelves in several rows, so even thought I tried to arrange them the way that the taller ones go farther into the shelf allowing the shorter boxes to be visible, it’s not a completely unobstructed view. As to decants, being in drawers, they are not easily “readable” when I look at them from above. I even tried adding two-letter abbreviations on the caps, but good luck figuring out before the first cup of coffee what “AB” or “BA” stand for). Sometimes in the morning, while still in bed, I read through the SOTD thread on NST or APJ until I come across somebody mentioning perfume that I feel like wearing that day. The disadvantage of this approach is that a high percentage of the reports are for new releases: many of the participants are still in the phase of testing/wearing just released perfumes from samples, while for me it usually takes a while to get newly released perfumes to join the line-up for wearing (read: become a bottle or decant). I participate in at least some NST’s community projects on Fridays but a week-long (as many of participants do) “wear your oddest fragrance” or “wear a perfume by ” is too much for me – though I did a full week of ambers recently to catch-up on wearing those before it got too warm. 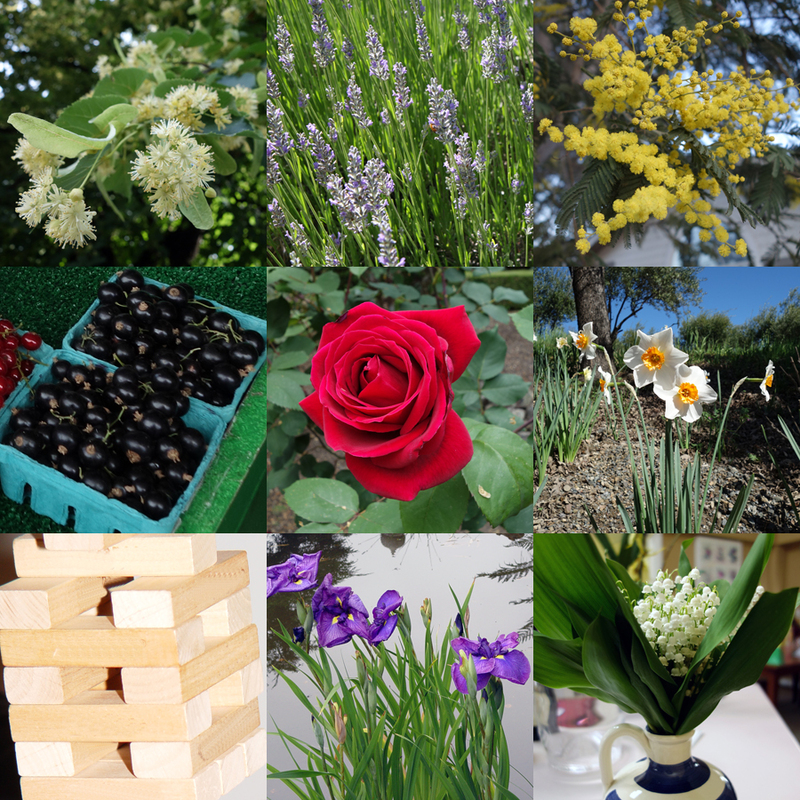 Lucas’s A Month of Roses (February 2017), my NovAmber (2016) and A Month of Irises (February 2018) were fun and made it easier to choose what to wear (since I had to plan each month well ahead), but seemed too limiting – so I cannot do those projects too often. Since I have all my perfumes and their usage recorded in a database, I created a simple query that would produce a list of perfumes that I haven’t worn in the last 2 months. The drawback is that as it doesn’t take into account any additional aspects – season, office-friendliness or occasion (I explained my complex perfumes-for-occasions designation in the first part of this post) – the query would produce still a long list, inevitably trying to steer me into wearing Amouage Ubar (my “special occasion” winter perfume) or Estee Lauder Bronze Goddess (an ultimate tropical vacation perfume) all year round. How do you choose what perfume to wear? Jessica (Bonjour Perfume) recently covered this topic on her blog and told about the unusual precognitions that guide her in this important decision-making. I do not possess similar abilities, so I decided to try to improve my perfume database to be able to ask that important question. But to get the right answer one should ask the right question – so I’m trying to figure out what question I should actually ask, and I’d like to get your help. If you could ask an all-knowing Answerer to choose perfume for you to wear on any particular day, what data points would you want it to consider? I’m talking not about guessing your mood or predicting reaction of somebody you’d meet this day, but information about perfumes, your previous experiences with them or any environmental factors that can be put into some formula and calculated. From time to time I start thinking about bespoke perfumes. Not in terms that I consider ordering one for myself but in general, as of the idea itself. If you were to do a search online for “bespoke perfume,” you’d find dozens of articles about that type of service, as well as offers of the said services. The prices start from $250 for a 50 ml bottle and goes all the way up to “contact for the price” (or 200K pounds mentioned in one of the articles – not sure how figurative was that figure). Why wouldn’t I want to have perfume made just for me? Let’s look at it step by step. Since it is a theoretical exercise, I’ll assume that anything is possible. I think it would be strange to have your perfume created by some random perfumer with whose work you are not familiar: while we can keep the discussion going whether perfume is art or not, it is definitely not pure science; and, in my opinion, not everyone can just learn how to mix ingredients and start creating amazing perfumes. I ran a query in my database and figured out, which five perfumers created the most perfumes that I love. Christine Nagel. Most of my favorites from her are her work for Jo Malone. As much as I like perfumes from that brand, do I really want my bespoke perfume to be of that “easy-wear-office-friendly” type? Christopher Sheldrake. All Serge Lutens perfumes that I like and wear have been created by Sheldrake. But most of Serge Lutens perfumes that I do not like, were also created by him. Bertrand Duchaufour. I like and wear many perfumes by this talented perfumer, and now when the daughter of the bloody dictator, for whom he created perfume 5 years ago (if you’ve somehow missed the story, look the Leftovers part of this post) is arrested, I probably wouldn’t mind him to be a creator of my bespoke perfume. But would he even have time? The man authors approximately one perfume per month. Geza Schoen (presuming he actually is the nose behind all Ormonde Jayne perfumes). Until the brand decided to become a luxury one, they were one of my absolute favorites: I love or at least like 7-8 of their perfumes. But I’m not sure I would be able to pry a vat of Iso E-Super from him, no matter how much I pay. Jean-Claude Ellena. I just don’t know if he still has any Dia left in him. And everything else is a little too sheer for my current taste: I like wearing many of his perfumes as my day-wear perfumes but none of them would be on a short list for a proverbial signature scent (or bespoke perfume, while we’re on the topic). But let’s say I settled on the Perfumer. How do I know what I want to get? Clearly, I should shoot for the most beautiful perfume I do not have in my collection already. So of course I can show the Perfumer my most recent exercise with the Desert Island Perfumes and provide a list of my 13 favorite notes: linden, amber, lavender, iris, black currant, rose, mimosa, lily of the valley, narcissus, galbanum, sandalwood, cedarwood and vetiver. But how do I know that actually these thirteen notes make me like perfume? As my analysis in that post showed, the highest count of those favorite notes (8 of 13) make up my favorite Chanel No 19 – but I already have Chanel No 19, and I don’t need another one. And how do I know that it is not the combination of the other 76 notes, which composed my Top 20, that do the trick? 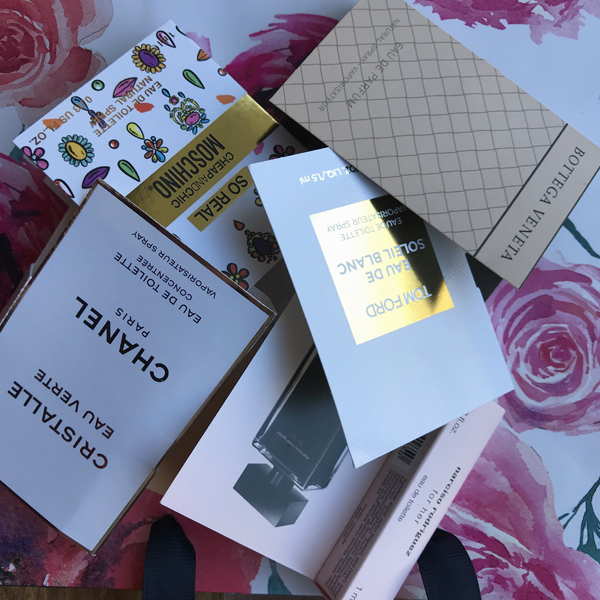 Assuming the Perfumer got all the information both from the notes I think I like and based on the list of perfumes I know I like, after a while we’ll have the first take – and what? How many times have you tried perfumes that sounded amazing based on what you read about them only to be completely disappointed? It is not easy to write a negative review for perfumes created by the brand or perfumer with whom you have some type of relationship or even just like them without knowing them personally. Also, have you ever experienced personally or witnessed any perfumer’s reaction to somebody criticizing their work? I’m not sure I would be able to say: “Scratch that, let’s start over.” Instead, most likely, there would be polite going back-and-forth with: “It seems a little too sweet…”, “What if we were to add more floral notes?” or “It reminds me X, which I already love and wear.” How many iterations would I go through before giving up and agreeing to something that is very nice but doesn’t come even close to how I feel about my most beloved perfumes? What if it is not even “very nice”? For my theoretical experiment I’m going with the assumption that I can pay any price. But what is the price? What the price should be? ScentTrunk, which keeps searching for the business model for making money from the exploding perfume industry, offers a free test kit that “includes a palette of the 6 fragrance families so our lab can identify the smells you love or hate” (you pay $4.95 for S&H). After that you can get your personalized perfume for just $11.95/month. I think we can all agree that I will skip the discussion of what exactly one might expect to get for the money. 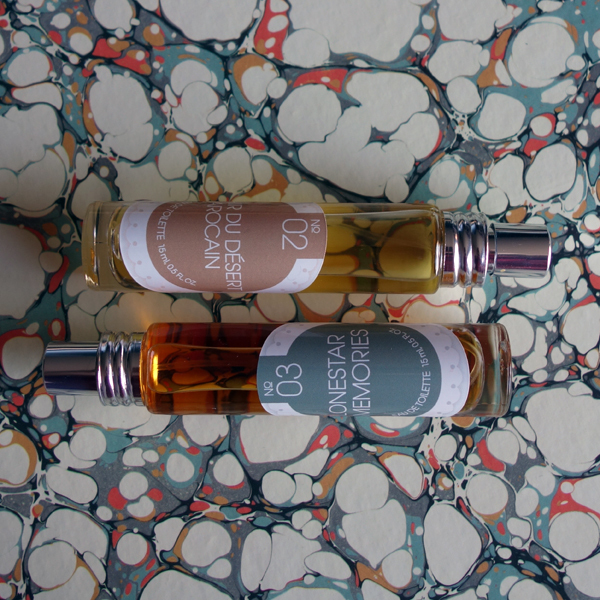 Ok, how about € 220 for 50 ml of all-natural perfume “by Perfumer Composer AbdusSalaam Attar”? You can choose up to 7 (out of 92) essences for your perfume. If you want something “rare,” you’ll need to pay more: extra € 100 for ambergris, € 150 for Mysore sandalwood, € 250 for iris root and € 300 for agarwood. But even if you go “all in,” the most you pay is € 1,020. And you can name it whatever you want! So choose 7 ingredients, mention the most important 3, tell your profession or field of work (“important for olfactory psychology”! ), add comments, “give your skype for contact ecc…”, prove that you’re not a bot (because, you know, it’s a huge work to put all those 7 notes into the shopping cart; and if you make a mistake, the whole form refreshes – so you should really be into placing that order) – and … I’m not sure what happens next because I didn’t manage to convince the page I wasn’t a “spammer.” But anyway, how personal can you expect it to be for € 220? $6,750 can buy you three consultations with the team of perfumers at Floris, which will result in 100 ml bottle of your bespoke perfume (plus 5 future refills). 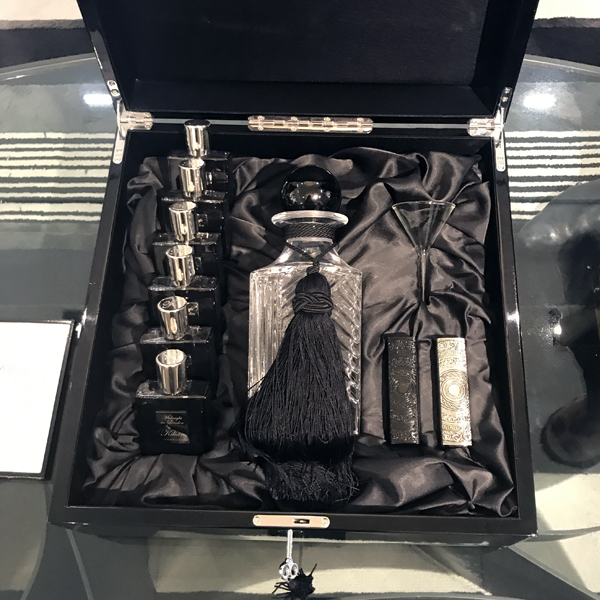 Even though By Kilian’s site states “Price upon request” on their Bespoke Perfume by Kilian page, from my recent visit to Salon de Parfums in Harrods I can surmise that it won’t be less than £15,000 – because that is how much their “one-of-a-kind” Midnight in London that Tara and I tested there costs. I heard different numbers for bespoke perfumes by Roja Dove but the closest one to the official price was £25,000, which was mentioned a year ago in the article-interview with Mr. Dove. If you ask me, his semi-bespoke perfumes rumored at £1,000 for 250 ml, is a better deal: you can try it and decide if you like it, if it is unique enough before you commit. As I mentioned in the beginning of the post, you can find dozens of brands, perfumers and no-name services that offer customized/custom/bespoke perfumes on the wide range of prices. But, in my opinion, even the highest price I cited here is not enough to pay for real creativity and uniqueness. I just do not believe that any great and talented perfumer would create something really great just for me – one person. Why would the Perfumer spend enough time and effort to earn even £25,000, if selling it to a brand or launching it under their name would get a much better return? The explanation I could come up with was that it might make sense only if the result is not expected to be anything too special. For example, if it is done for “civilians” – people who have previously used Perfume de Jour from department stores: almost any average-pleasant perfume made from good ingredients by somebody who knows the trade would be a definite step up. It also can work for people who do not love perfumes but want to wear them because it is a part of the accepted routine. 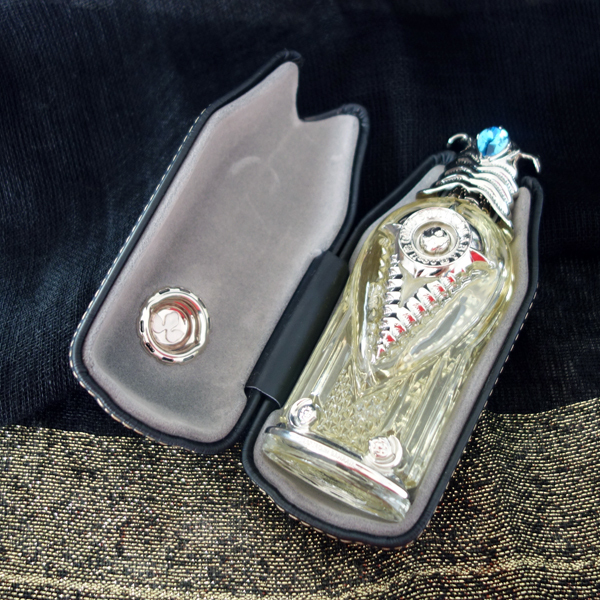 In this case, exclusivity and personal service might be much more important than actual perfume. In both cases it shouldn’t require too much time or magic from a skillful Perfumer. And those “bespoke” perfumes do not even have to be that unique from one customer to another – they just have to be different enough from what one can come across at regular perfume counters. I have it. Now what? But even if I manage to get the result I really like, what would I do with it? Should this perfume become my signature scent? Probably not: I’m not a one perfume woman. Should I treat it as a special occasion perfume? But then what should I do with my other special occasion perfumes? I’m not sure I have enough special occasions. Do I wear it just like any other perfume in my collection, several times per year? But then why even go through the exercise of creating bespoke perfume? So even in my imaginary world, in which I can choose any perfumer to work on my scent and am not limited by any financial considerations, going through with that project does not seem appealing. 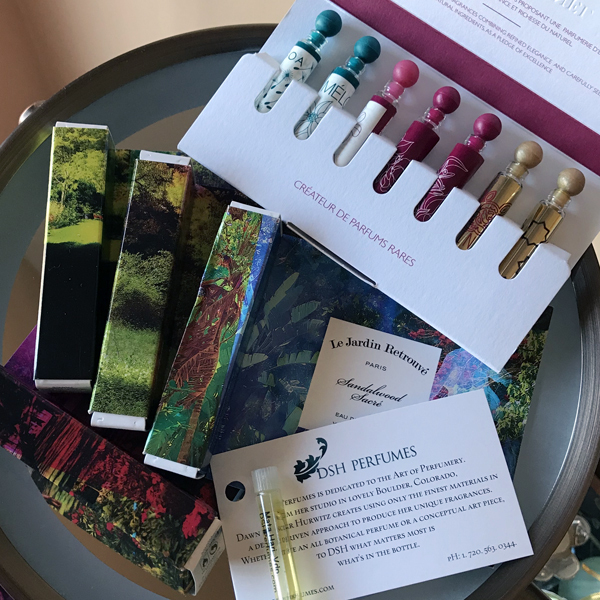 And then one last thought had occurred to me: I bet I can wear many of the existing perfumes in my current collection, and, almost any way you look at it, those would be not much farther from a bespoke perfume then any created as such might be. From time to time one of my blogger friends covers a topic that prompts more than just a comment, however lengthy one might be tolerated (or even appreciated). Making lists of desert island scents is a well-known and loved pastime of many perfumistas, so that alone could send me packing boxes writing my own list. But the methodical way Vanessa (Bonkers about Perfume) approached the project could not have left me indifferent. Vanessa, a market researcher by trade, considered multiple approaches to coming up with her list. She described those approaches (I’ll be referring to those, so if you haven’t yet, you should read her post to learn the details about each); but then she discarded some of them because of the complexity or data unavailability. Since all of my perfumes and perfume usage are documented in the homegrown database, I thought that I could pull off calculating some of the aspects that she abandoned. I started with “the burning building speed grab method” (or as I call it – “Grab ‘n’ Run”) and came up with 20 perfumes I would be happy to have on that island if I had to evacuate without much time for packing. Then I moved to the “systematic review of ALL perfumes owned” but decided to limit it only by those perfumes, which I own as a full or travel bottle or a large decant. 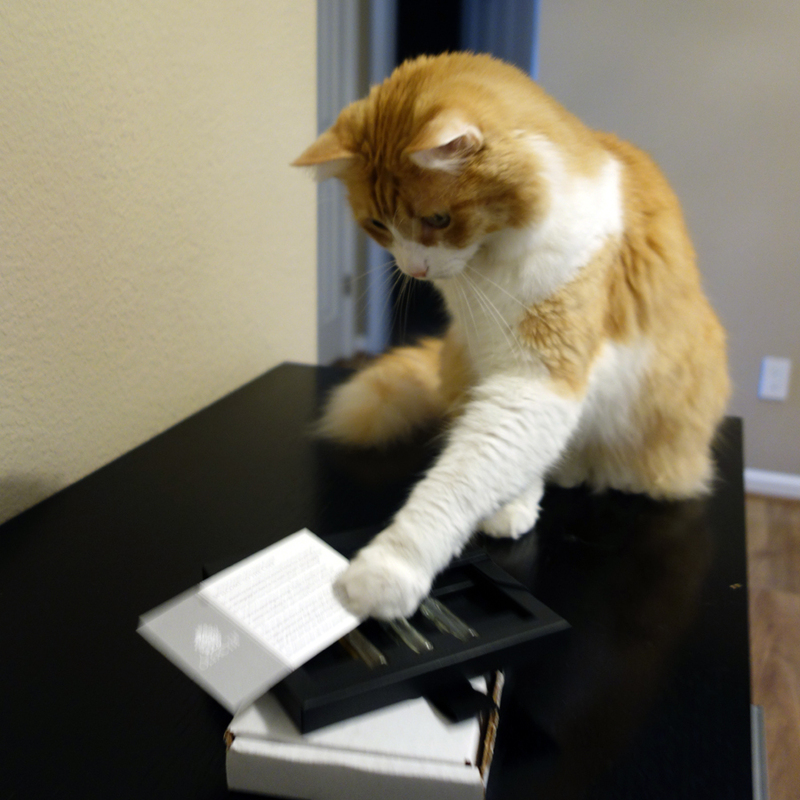 I went through the list choosing carefully, which perfumes to include into the final list. As it always happens to me with these lists, I take it very seriously – as if I will have to actually live with those decisions. It wasn’t easy: I like, wear and want to keep wearing many more than 20 perfumes I chose for my list. But if I really had to choose… So I did – and I’m sticking by that Brute-force Search List (a.k.a. “Don’t Ever Want to Be Without”) and using it as a base for all further comparisons. First I compared two lists – the Grab ‘n’ Run and Brute-force Search Lists. Surprisingly, even after careful consideration my final list still has 18 perfumes from my spontaneous list. The two substitutions were a close call with the initially selected Jo Malone Mimosa & Cardamom and Guerlain Chamade (parfum). Then I remembered that about five years ago I participated in a similar exercise on Birgit’s blog (Olfactoria’s Travels) and did one of my Entertaining Stats posts based on the results. So I was curious to see how my list of 10 desert island perfumes from that time fared against my recent list. Seven (7 of 10) from the 2012 Desert Island List are still on my current list, and I still enjoy wearing Annick Goutal Heure Exquise, Antonia’s Flowers Tiempe Passate and DSH Perfumes Vert pour Madame, even though they got voted off the island, so to speak. 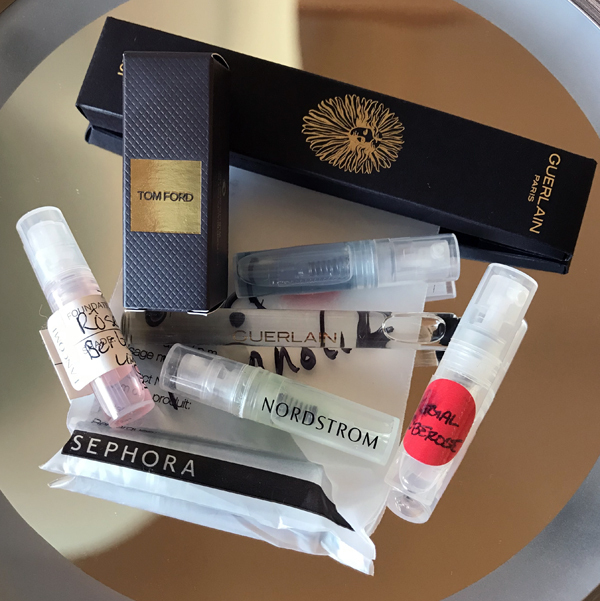 My variation on Vanessa’s “travel bag ‘nuclear precedent’ method” was a Top 20/12 List: perfumes that I wore the most often in the last 365 days. Sixteen (16) perfumes from my Brute-force Search List were among perfumes I wore the most during the last 12 months. 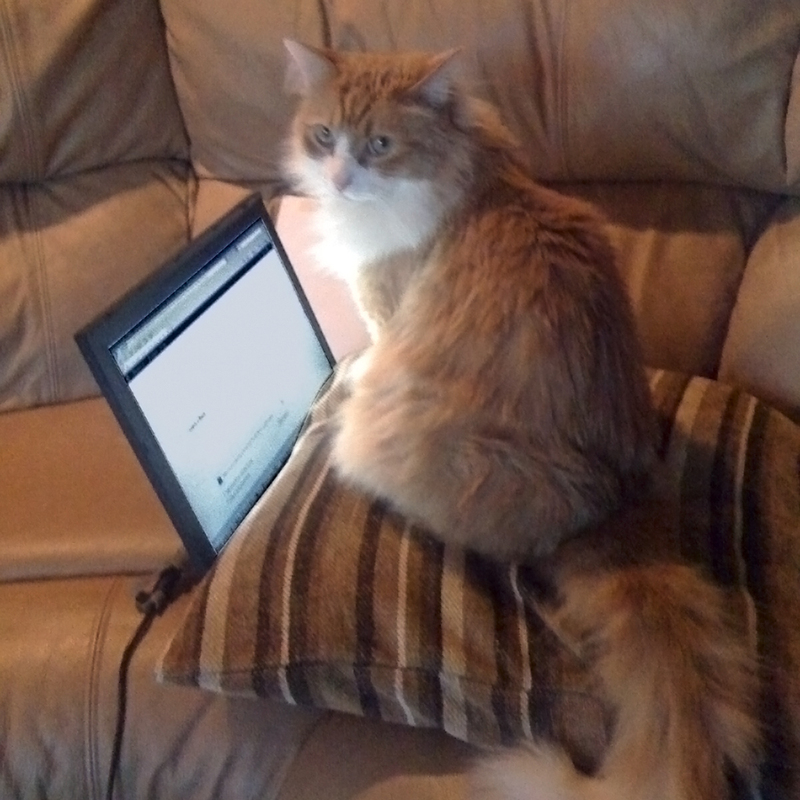 But I kept thinking: how about the last 6+ years that I write this blog? Since I didn’t own all of the perfumes featured on my current list 6 years ago, and they joined my collection at different time, it wouldn’t be either accurate or fair to do a straight-forward aggregation of the times I wore each of them. So I calculated a relative popularity: total number of occasions during the last 6 years when I wore each perfume from my list divided by the number of days from when I wore it for the first time until today. That’s how I got the Top 20 ‘All-Time’ Faves List. It includes 10 out of 20 perfumes from the etalon list. The table below shows my Brute-force Search/Don’t Ever Want to be Without List (sorted alphabetically by brand) and how other lists compare to it. Same as Vanessa, I didn’t even think that I needed to try and represent each of the main fragrance families in my least (I loved her joke on the topic! ), but I inspected my existing list with “the fragrance family method” and discovered that the most common type was Oriental Floral (9), followed by Floral Green (3), Floral (2), Oriental Woody (2) and one of each – Floral Fruity, Oriental Vanilla, Chypre Floral and Woody Aromatic. Clearly, I like my florals. “The scents for all seasons method” also inspired me to look at my list: 7 of 20 I can wear all year long; others came in different combinations of the seasons when I usually wear those perfumes, so it all boils down to 10 perfumes for the Winter rotation, 15 for Spring, 15 for Summer and 13 for Autumn. Since I have special categories for my perfumes, I ran “the scents for all occasions method” test on my Brute-force Search List and confirmed that the two main categories – Office Wear and Special Occasion – were well covered: of the 20 I can wear 14 to the office and 12 to any dress-up party. 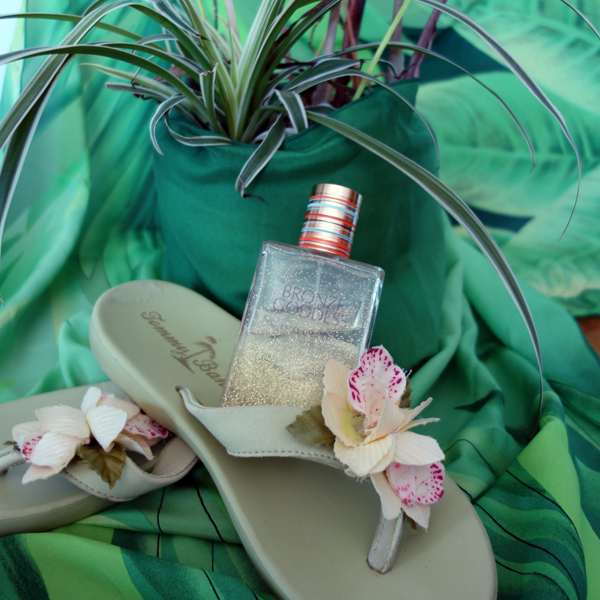 I even have 2 in that list that I consider my Tropical Vacation perfumes. I don’t think “the covering all my favourite notes method” would work as a selection method (and I’m not talking about choosing an unknown scent based on the pyramid) since having a note in the list doesn’t necessarily mean that I could smell that note in that perfume. But it was interesting to see if my favorite notes were well represented in the list. So I came up with what I think is a list of the notes, to which I’m partial in perfumes, and then checked it against perfumes on my Brute-force Search List. Favorite notes: linden, amber, lavender, iris, black currant, rose, mimosa, lily of the valley, narcissus, galbanum, sandalwood, cedarwood, vetiver. Almost all (19) perfumes on the list had at least one of the notes mentioned, which isn’t a complete surprise since rose and sandalwood are very ubiquitous notes (I count each of these in 12 perfumes). Amber and vetiver were spotted in 8 perfumes, iris – in 5, galbanum – in 4, cedar, LOTV & Narcissus – in 3 each, and the remaining 4 notes were covered by 1 perfume. If to judge strictly by notes, Chanel No. 19 is the closest to my ideal: it has 8 of the 13 notes I deemed favorite. Lancôme Climat takes the second place with 6 notes. And the third one for 5 notes goes to Les Parfums de Rosine Rose d’Amour. And if you are curious as to which one perfume from my list didn’t have a single of my favorite notes – it’s Jo Malone Sweet Milk – go figure! Even though I could relatively easy check “the ‘inclusive’ perfume house / perfumer approach,” I decided against it: it makes absolutely no sense to represent some abstract “known,” “famous,” or “established” perfume house in one’s personal preferences list; but to arrive at my personal list of favorite brands or perfumers I would have to use a list… of my favorite perfumes, which would just create a circular reference. Whenever somebody on my Reading List rates perfume or even just expresses liking/disliking it, I pay attention. But I mostly do it just to figure out whose tastes are closer to mine to rely upon their future opinions to navigate the plenitude of future releases. So while I did look up ratings on Victoria’s (Bois de Jasmin) site, I did it only because it was one of Vanessa’s methods. I got 3 ***, 5 **** and 4 *****. No ratings for 8 of my favorites. And I don’t really care either way. I think I wouldn’t be able to use “the scents I had happy times in method”: my all-time/long time favorites were with me through all possible times, so they are time-tested. With the newer additions to my wardrobe and my MO to wear a different perfume every day and rarely returning to the same one more often than once a month, it’s almost impossible to build that association between any particular perfume and the level of [un]happiness. 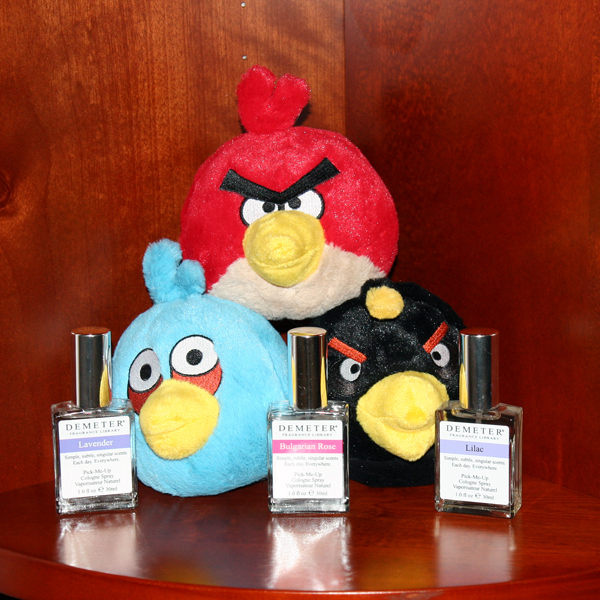 Which is probably for the best: I can classify all of my favorites as my “happy times” perfumes. The final approach – The Field Test – is my own method, which I plan to run in April. I intend to wear each of the perfumes on my Don’t Ever Want to Be Without List and see if “in practice” I feel about them the same I felt “in theory” while working on the list. If you’d like to join me, do your own list (of 10 – 15 – 20 – your choice) your most favorite perfumes and wear each one them at least once before the end on April – and we’ll compare notes in May. 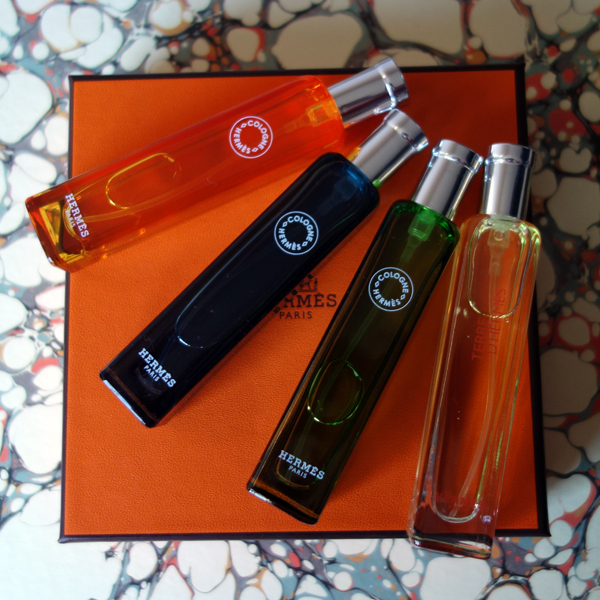 For years I keep repeating that more brands should release their perfumes in perfumista size bottles – 10-15 ml. Of course, for somebody who has a signature scent or alternates 2-3 perfumes in their day-to-day life, 50 ml, 100 ml or even 200 ml bottles might make more sense both economically and logically. But for anybody who has been “into perfume” for at least several years, not too many perfumes warrant the vats, in which most perfumes nowadays are sold. Sure, big bottles are great for splits; and decants are nice for getting to wear something without committing your heart or money to a full bottle. 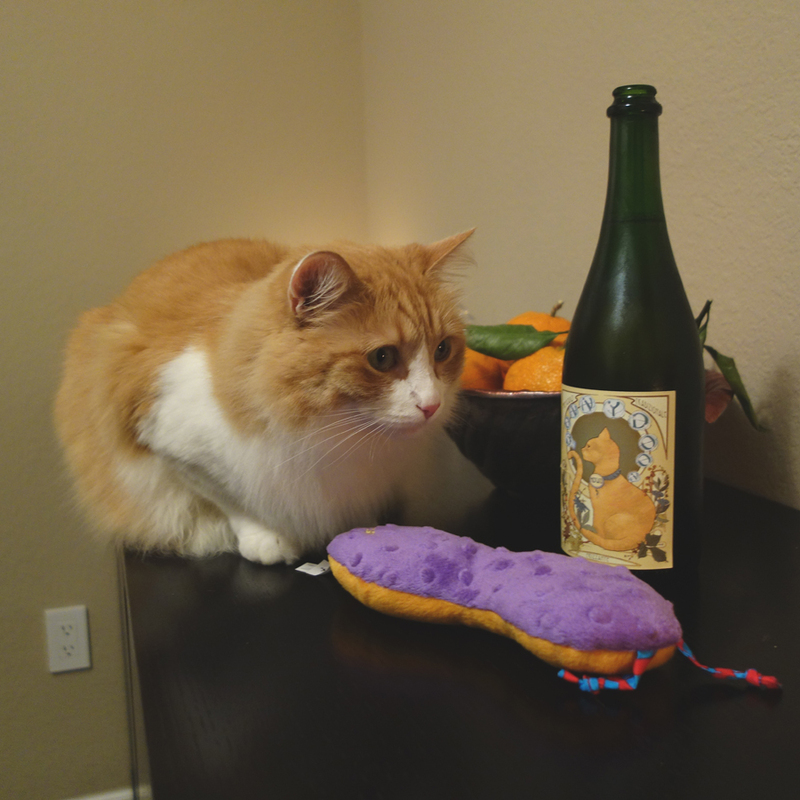 But even the best decant – with well-made labels and a good sprayer – is still not as good as a real bottle. And I suspect that, as a rule, it has a shorter shelf life, even if you use parafilm or electrical tape to prevent evaporation: the act of spraying perfume from the original bottle into a smaller receptacle introduces additional oxidation to the juice, which cannot be healthy (should we add a blueberry or two?). For all these reasons for anything more than 3-5 ml I would rather pay extra price per ml but get a travel bottle from the brand – if the brand has that option. Surprisingly, when it comes to niche brands, those that offer smaller sizes are still rather an exception than a rule. So I decided to put together a list of the brands that offer smaller (perfumista size) bottles of their perfumes. I won’t include links since those change but it’s easy to find them through a search engine. More brands recently have introduced the “travel” option – probably as a response to the air travel regulations. Unfortunately, those come in sets either of single perfume or of pre-selected (or all) perfumes from the brand. Single perfume sets are easier for friendly splits. Mixed sets defeat the purpose: how often does someone like all the perfumes in the set? I also found two brands that offer customizable mixed travel sets. 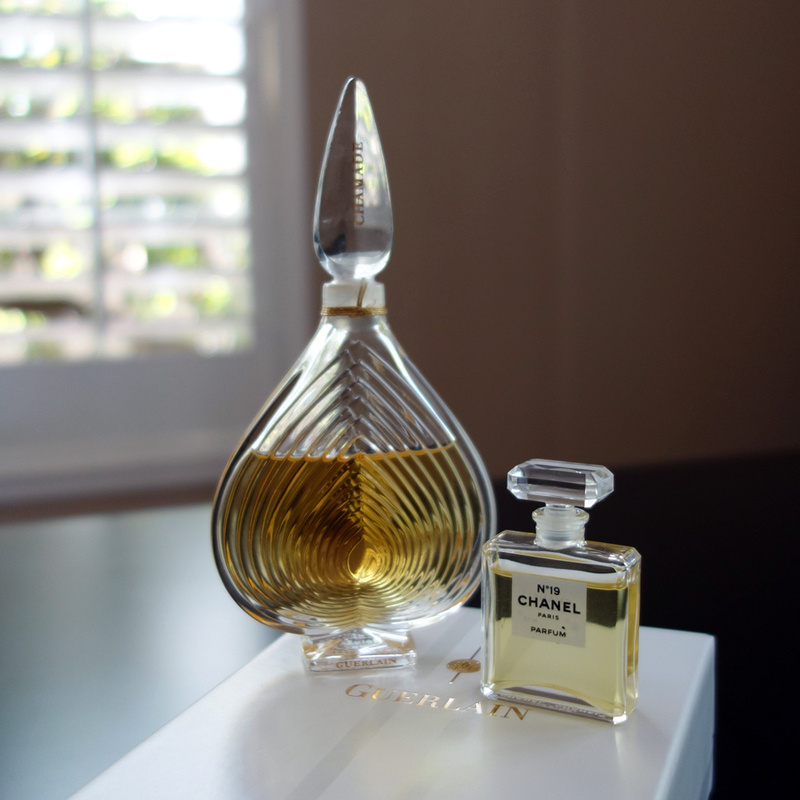 As I was writing about Guerlain Chamade extrait, I realized that as much as I love the bottle it comes in, I never use perfume directly from it: I transfer a couple of milliliters at a time into a small sample bottle and spray it. That made me thinking about how I normally use perfumes and the reasoning behind that. Dabbing is good for applying a discreet amount of perfume without creating a serious projection. It is also a more sensual and “lady-like” ritual – a stereotype created by decades of ads and perfume-featuring movie scenes; though in recent years the industry was working hard on changing that. The application alone feels terribly luxurious and sophisticated. It is almost an anointment, the ritual of application is very important here. It is certainly not a spritz and go thing. Applying Amytis needs time, respect and love for what you are doing and you are rewarded with the feeling of having done something special, of being part of age-old rites and not least of all – you smell divine. It was a powerful image and I remembered it better than I remembered the name of that perfume (I had to look through the list of reviews to find it). Reading it makes you want if not to go for that super-exclusive perfume with a 24K gold-plated applicator, then to have at least a similar ritual with one of your own perfumes. Spraying is good for applying perfumes that you like when you are not afraid to overdo it. It also keeps both your fingers perfume-free and perfumes fresh(er). But it’s harder to control the amount, especially for bottles that you do not use too often and do not remember how their sprayers work: more than once I managed to gas co-workers in a small meeting room with just a couple of sprays – completely unexpected for me. And it feels not as glamorous as applying perfume from a splash bottle – unless, of course, you have one of those old-fashion bulb atomizers, though after I read in one of the Fragrantica’s threads about those atomizers being blamed for perfume evaporation, I keep mine safely tucked away in the dark closet. Separately from perfumes. But, in general, spraying is my preferred application method for perfume wearing. Using roll-on bottles is also good for the “portion control” and minimizing the projection, but, in addition to the same “contamination” issue as with the dab applicator, it seems even less romantic and more functional than spraying. 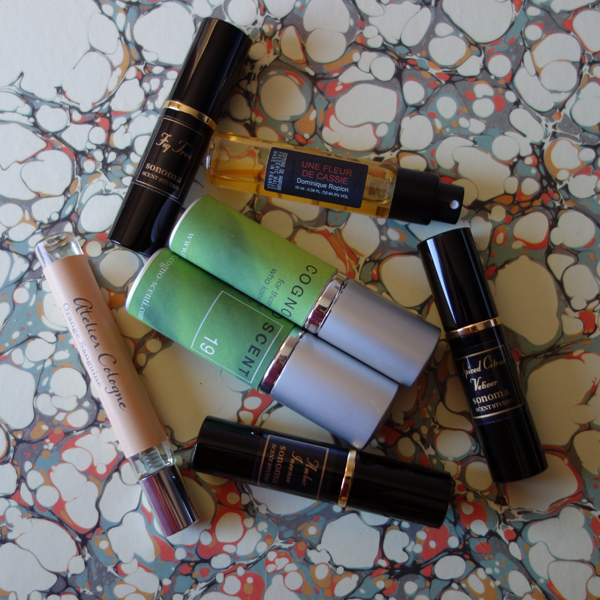 I use those for air traveling but usually I do not consider roll-on perfumes for my collection. Solid perfumes are one more option that didn’t even make it into the title since I do not own a single solid perfume, and I completely forgot about that choice until I was half through the post. Since other than Diptyque and Teo Cabanel’s, I don’t remember any other real brands that make solid perfumes, and I rarely use indie perfumes, this form isn’t much of a choice for me anyway, but even if there were more offerings, I don’t think I’d gone for those and mostly for the same reason: I do not like touching my perfumes. What about you? What application method do you prefer when you wear perfumes and why? Flying on a plane, attending a symphony concert or visiting people in hospital – in all these circumstances we know the space limitations and are trying not to arrive in a nuclear cloud of a killer perfume. But all these situations happen once in a while so it’s easier to be mindful of the surroundings. When it comes to wearing perfumes to the office it gets trickier: we spend there a huge part of our life and we spend it mostly with the same people. Many years ago I had a co-worker R. who really liked Victoria’s Secret Dream Angels Halo. I liked it too and even bought a small bottle of it, but I never wore it to work because everybody knew it was R.’s perfume: you could tell she was in the office on the second floor once you opened an entrance door on the first floor. 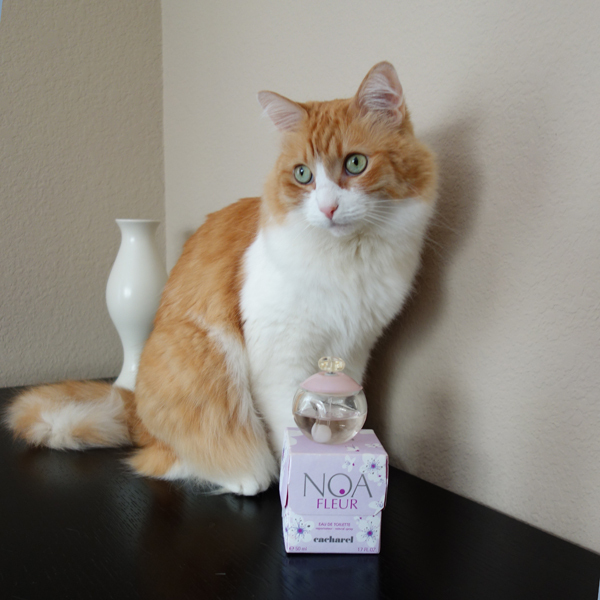 As I said, I liked the scent but I was happy that we worked in separate offices. Since she was a senior person (both age- and position-wise) nobody dared to tell her she was going overboard with application. I don’t know if she was done with the bottle or somebody finally decided to speak up, but her next perfume wasn’t as loud. But for me it was a lesson well learned and for many years, long before my perfumista times, I classified all of the perfumes I wore or tried as safe-for-work or not-safe-for-work. DKNY Women, Calvin Klein Truth, Cacharel Noa fleur and later several Jo Malone‘s bottles were my SFW perfumes back then. During the descent down the rabbit hole, for a while I used most of the time I was awake for testing perfumes. And since testing meant putting on my skin something, with which I was unfamiliar, for both my and my co-workers’ sake I applied them very sparingly (besides, have you seen those Luckyscent’s samples?!). So even though many of the perfumes I tested during that period weren’t particularly SFW-type, with a careful application they didn’t bother anybody much (bar a couple of accidents with a crushed vial and mistaken identity). But after testing 356 perfumes in one year, I realized that I wasn’t wearing my favorite perfumes from the rapidly growing collection. So gradually I switched to wearing to work perfumes I love and testing in evenings or during weekends. And that’s when I discovered that not wearing Angel or Fracas (other than maybe in homeopathic dozes) wasn’t enough: I had to take into account personal dislikes of people with whom I was sharing space daily for 8-9 hours. Trying to be a good person, I asked all my office-mates to let me know if any of my perfumes would bother them: with the size of my perfume wardrobe I could afford not to wear some of them, right? Over time I learned that one of my co-workers disliked Tom Ford Amber Absolute (“too kitchen spicy”) and Jo Malone‘s Sweet Milk. I had to let him go: who dislikes Sweet Milk?!! (Ok, just kidding, there were multiple disciplinary infractions.) 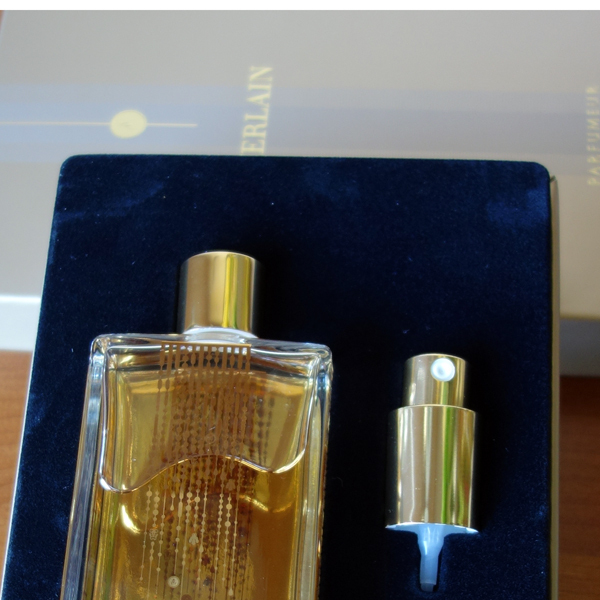 Another co-worker said that Guerlain Encens Mythique d’Orient was too strong and “smelled as in Men’s department at Macy’s.” Though I was sad when she left (not because of my perfumes choice! ), I was glad I could wear my Encens Mythique d’Orient again. Several years ago during our short perfume sniffing walk with Birgit and Sandra (Olfactoria’s Travels) in Vienna in one of the shops Birgit attracted my attention to the brand. Her comment was along the line that she didn’t like it in particular but it was one of the brands that weren’t widely available elsewhere. 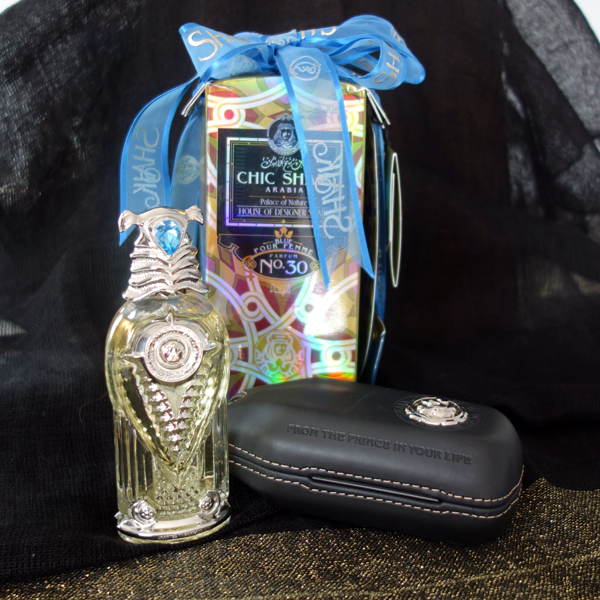 Prompted by her an SA handed me a test strip with perfume – Chic Shaik No 30 by Designer Shaik. We visited four shops that day and tried numerous perfumes but that single paper strip came with me back to the U.S. via Paris. Birgit was right: three years ago Shaik wasn’t easy to find in the U.S. But I still managed to get a tiny vial of Chic Shaik No 30 from one of the decanter sites and later tracked and bought a bottle. When I unpacked my purchase, I couldn’t believe what I saw. Pictures cannot properly convey how bizarre everything about this perfume’s packaging was – from a flimsy box à la Ghirardelli-chocolate-packet with that awful bow to the horrendous bottle adornments; with “FROM THE PRINCE IN YOUR LIFE” etched into an unexpectedly good quality coffin-like leather case as an apogee of this disaster. I’m not familiar with Middle Eastern aesthetics so I might be off with my impressions but I do not understand this etsy-worth chic for expensive perfume. Packaging and name aside (people, you have to be Chanel for the numbering to work and even Amouage got most of us confused with their Roman numerals! ), I like Chic Shaik No 30. It combines two of my favorite characteristics: it’s both floral and amber perfume. The brand’s site doesn’t provide any useful information so I’m going with Fragrantica’s notes: bergamot, cardamom, passion fruit, rose, jasmine, patchouli, vanilla, ambergris and tonka bean. As usual, my nose isn’t sensitive enough to recognize most of them but I enjoy the composition. I thought that with a light application Chic Shaik No 30 was a perfectly SFW perfume. 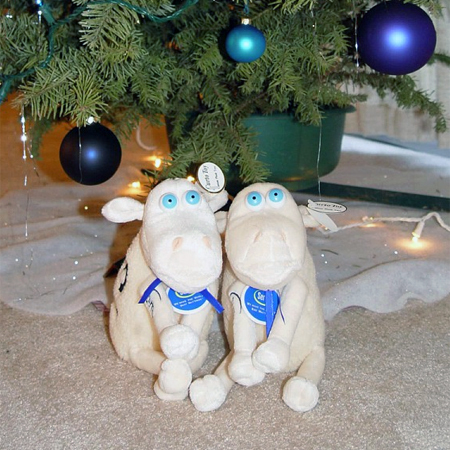 But a co-worker with whom I used to share the office took a strong dislike to it. Surprisingly, she pinpointed exactly what bothered her about if: she said it smelled like a souk. 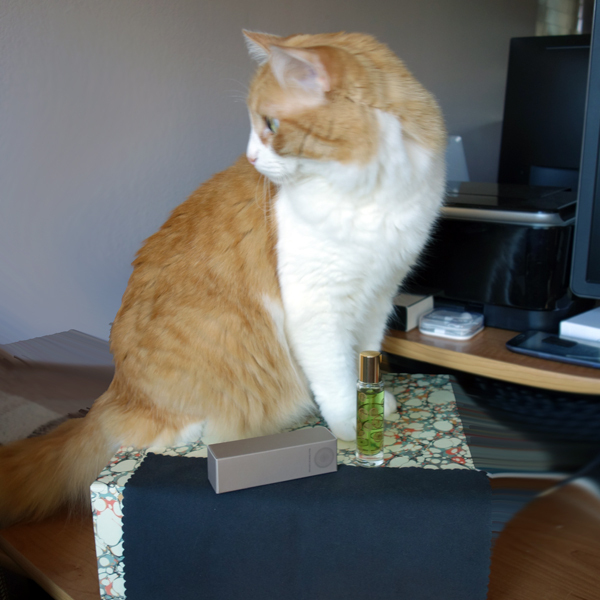 She didn’t protest any of my other perfumes, so I had to respect her pet peeve. I wore Chic Shaik No 30 on my first day at the new job. So far no complaints but only time will tell. Did you come across any perfume that you considered SFW but got complaints, unfavorable comments or some form of non-verbal disapproval from a co-worker?